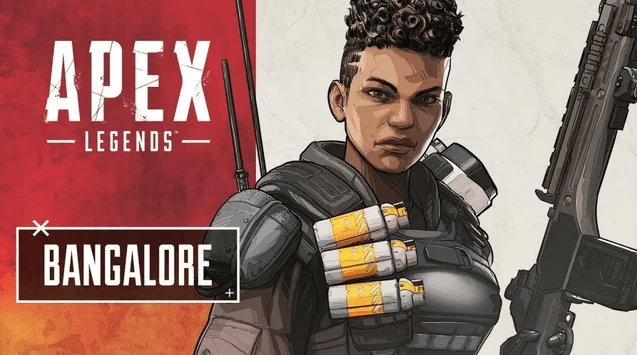 If you are into Esports and gaming in general, you have probably heard about the EA’s latest release, Apex Legends. 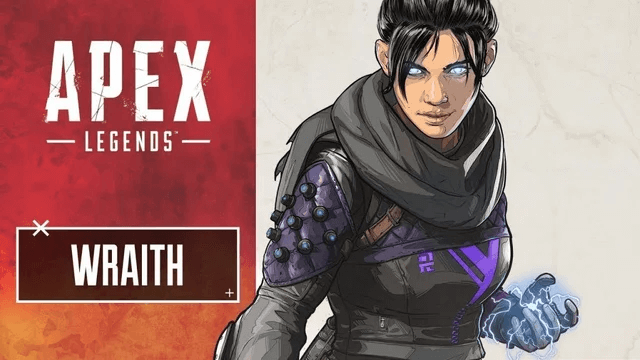 This battle royale game has taken the entire gaming scene by storm, and from the first week, it seems like Fortnite has nothing on this game, as Apex Legends has already claimed over 25 million users. The most important thing about Apex Legends is that this game is free-to-play. Furthermore, this is a first-person shooter battle royale game developed by Respawn Entertainment. The game was released on February 4th, and over the course of 15 days, it attracted over 25 millions unique users. 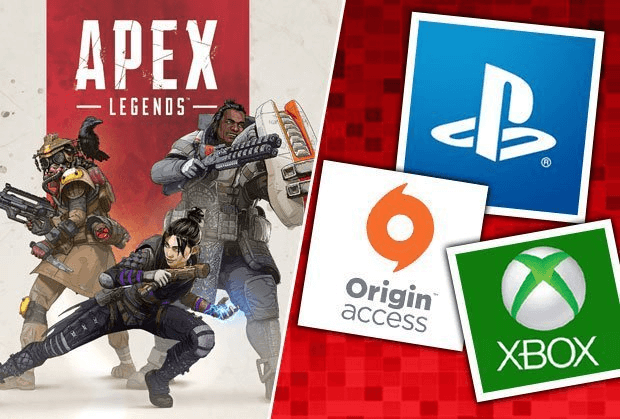 Furthermore, Apex Legends is available on 3 different platforms: Microsoft Windows, PlayStation 4 and Xbox One. You can also consider Apex Legends as the only game that can overcome the bars set by Fortnite. This game is definitely an up and coming Esports titles which have taken the entire scene by storm. 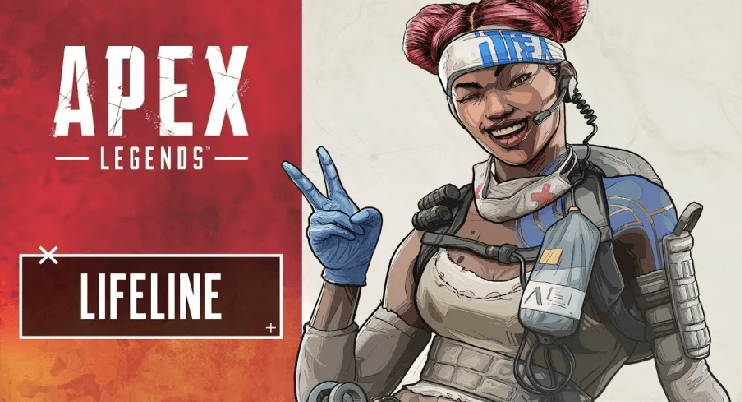 Furthermore, it feels like Apex Legends developers were finally able to bring battle royale genre to a competitive scene. However, there is still a lot more work to be done, and hopefully we will have a very solid Esports title to bet on in the likes of Apex Legends. How to play Apex Legends? At the moment, the only way you can play Apex Legends is in a team of 3. Since developers stated that they want to strongly focus on team play, this is the best way to go. However, the current map supports only 60 players, which defers from the other battle royale games such as Fortnite and PUBG, which is based on 100 players. 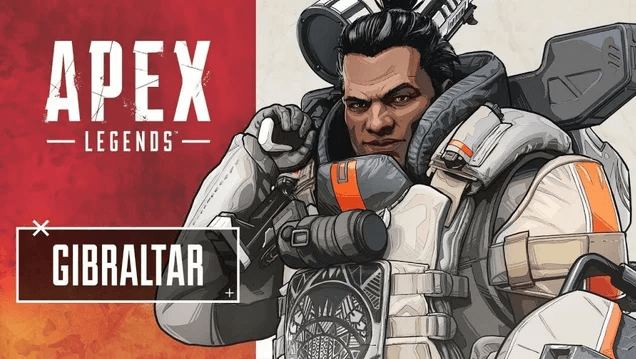 Another thing that makes Apex Legends a unique battle royale game are characters. Everyone from your team will select one character to play with before the game starts. There are a lot of classes, and you are probably familiar with most of the classes: Offense, Defense, Support and Recon. As we mentioned above, Apex Legends can only be played as a team of 3. However, this is definitely a subject to change in the near future. Once you have jumped out of the spaceship, you definitely want to tag along with your squad. Furthermore, once you have landed on your destination you should immediately look for a weapon. You can also ping certain attachments, ammo, weapon and armor to your teammates with middle mouse button. After you are all set and packed with gear, you want to make your way to the circle where you will battle it out against other squads for the “Champions” status. If you are a fan of other battle royale games, then you probably know how does the “color” system work. We can split this into 4 different types, sorted by power. Let’s take armor as an example. Basically, you can find GREY armor, BLUE armor, PURPLE armor and an extra rare GOLD armor. The same goes for every attachment on the field. Another standard addition to this game that is linked to other battle royale titles. However, this one is a bit different, since there are a lot of different methods of healing yourself. For instance, if you are to read our Lifeline review down below, you can clearly see that it is her ability to heal you. 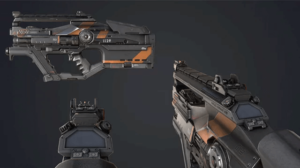 Even though weapons in Apex Legends are not sorted by grade or color, there are still some which are stronger and overall better. 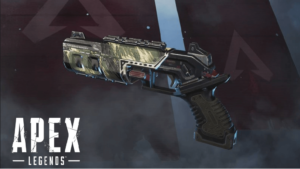 Below you will be able to find all Apex Legends weapons. Wingman – definitely the best pistol in the game. Great damage and accuracy, but only 6 rounds in a clip. M600 Spitfire – Even though there are only two LMGs in the game at the moment, this one is definitely the best one. Great damage and accuracy. However, reload time on this beast is so long. Peacekeeper – After Mastiff, this is definitely the best shotgun in the game. It has a great range + damage. However, given the fact that this is a pump shotgun, it has a low rate of fire. Mastiff Shotgun – This is the ultimate weapon. With this bad boy you can wipe squads out in no time. However, this weapon can not be reloaded and it only holsters a couple of bullets since this is a legendary weapon. Kraber .50 Cal – Another legendary weapon. Definitely the highest damage out of all snipers in the game. It also has potential to kill with only one bullet. Overall, the hardest hitting weapon in the game. R-301 Carbine – Even though this weapon does not have the highest accuracy, it is definitely very useful in the close and medium distances. Furthermore, it is kinda dependant on attachments, especially extended magazine. Hemlok Burst AR – I personally use this weapon only for medium range, and I simply do not like it for long range. However, it is very viable as this is only a personal preference. This bad boy has a good kick in it, so you should be on point while controlling the recoil. G7 Scout – If you can not get your hands on Kraber, you should definitely go for this sniper. It has a decent damage and overall it can help your cause. Devotion LMG – This is a slow starter. However, if you hold the trigger for a couple of seconds, you will see that the rate of fire will increase. Furthermore, this weapon has an insanely huge magazine. Prowler Burst PDW – If you can not find attachments for this SMG, you should just drop it. However, once attachments are equipped, it has insane damage and very easy to control recoil. R-99 – The only reason why this weapon is not in the “Best weapons” list is because it is highly tied to short range. You can not hit anything at long range with this one. However, it melts people at short range. EVA-8-Auto – The only automatic Shotgun in the game. It does not pack a huge punch, but it can definitely get the job done in the early game. VK-47 Flatline – Another weapon for close range. Overall it has a lot of good perks such as magazine size, recoil and damage. Havoc – This weapon is highly dependant on attachments. However, once equipped with those it is very lethal. Long Bow DMR – Out of all snipers, this one is definitely the worst. Even though it can actually kill people with one hit, the rate of fire is so low that it is just not viable. Triple Take – This is a weird sniper. It fires three beams which split at long range. From my experience this weapon lacks damage. Alternator SMG – Definitely the worst SMG in the game. Hard to control recoil, low magazine size, and overall low damage output makes this one of the least used weapons in the game. Mozambique Shotgun – This shotgun only has three bullets in the clip. Furthermore, it has barely any range and no damage. This weapon is only used when you can not find anything else. RE-45 Auto – Another weapon that is mostly used in the early stage of the game. Given the fact that this is a pistol, it has not range nor damage. P2020 – For a pistol, this weapon is highly accurate, but it severely lacks damage. Just like Re-45 Auto, it is only used in the early stage of the game. There are 8 characters in the game at the moment. However, this will probably change in the future, mainly because the game will become stale and repetitive, and people are always looking for fresh content. Another thing you need to know is that 6 of these characters are unlocked, while two of them will have to be unlocked via micro-transactions in the game. We will create a full breakdown of every hero down below. If you are into damage and eliminating opponents, this girl is the perfect character for you. She belongs to the Offense class, and you will definitely have fun while playing with her. Double Time: If you find yourself in a trouble and your opponents are shooting at you, this ability will come in handy. Basically, for a short period of time, you will move with an incredible pace and your opponents will have a hard time shooting at you. Smoke Launcher: To be honest, I do not like this ability at all. Given the fact that this is a damage dealer, I simply can not comprehend why would she need a smoke barrage. However, this ability can be useful if you need to get away from a tight situation or if you need to revive one of your allies. Rolling Thunder: This a bread and butter for Bangalore. Basically, this is an airstrike which will bomb a certain spot of your choice. Really simple to use, and you can really turn tables with this ability as in most of the cases, you will force your opponents out of their hiding hole, especially in the final stage of the game, when the circle is small. In my personal opinion, this is the best looking character in the game. Looks on Bloodhound are pretty unique, and in some way mysterious. This character belongs to the Recon class and it is really enjoyable to play with. Tracker: This is a standard ability for the Recon class. This ability allows you to track footprints and other stuff your opponents are doing. Furthermore, Tracker can help you and your team get a drop on your enemies, and in most cases, you will be able to win those duels without any problems as they will not expect you. Eye of the Allfather: Another very common ability that allows you to reveal enemies around you. Furthermore, you can also see traps and a whole bunch of clues lying around the map. Beast of Hunt: As simple as it gets. This ultimate ability will increase your speed and you will also be able to highlight your enemies. From my perspective, this character belongs to the Recon class, but the amount of damage she is capable of dealing is incredible. This is why I would call Wraith a hybrid. Voices from the Void: One of the strongest passive ability in the game. If someone is about to sneak behind you and take you out, a voice in the Wraith’s head will let you know. Into the Void: Another great ability which will make you invincible for a short period of time. Furthermore, you will also become invisible and with this ability, you can either close the gap or cover your loses and get out of the danger. Dimensional Rift: This time around, Wraith’s Ultimate ability will help you transfer your entire team to a certain location. However, in order to pull that off, you will have to reach that location yourself. Another thing you need to be aware of is that Dimensional Rift only lasts for 60 seconds. Pathfinder is the only robot in the current characters tab. This bad boy belongs to the Medic class. However, he is not a typical Medic based on healing, but rather on exploring the map. Insider Knowledge: This is a bread and butter for Pathfinder. Given the fact that this character can scan the survey beacon, you will be able to find out where the next circle will take place in. Grappling Hook: Another helpful ability that will take you from one place to another really fast. Furthermore, this skill is best put to use in rocky terrains where moving is hardened. Zipline Gun: This one is pretty straightforward since some examples of this can be found throughout the map. Basically, Pathfinder can set up a Zipline not only for himself but for his allies as well. A very useful ability if you are in a hurry, or if you need to get away from dodgy situations. This is another character that belongs to the Medic group. She is the opposite of Pathfinder, as this character is mostly focused on healing and repairing the damage dealt to your allies. Combat Medic: A really simple passive ability, but yet so effective. Basically, this ability will help you revive fallen allies at a faster pace. Furthermore, healing items are also used 25% faster. D.O.C. Heal Drone: Another support ability that can greatly help your squad. This ability will summon a robot that will fly around and heal your allies over a short period of time. Care Package: I reckon that you can guess what this ultimate ability does. It supports your team, yet again. This ability will drop a high tier gear for you and your allies. However, this ultimate ability is best used prior to the fight, or towards the end of the game where you can safely equip yourself with the best gear possible. This character is an ultimate reflection of a tank. This is a perfect mixture of a support and a damage dealer, and with this character, you are getting a perfect balance, hence why this is one of the most used characters in the Apex Legends so far. Gun Shield: As simple as it can be. Once you zoom in your weapon or you aim down sight you will be granted with an extra shield that will block incoming shots. Dome of Protection: An all-around support ability. You can also block entrances to certain spots. However, its primary goal is to protect you and your teammates. Beware, this shield only lasts for 15 seconds. Defensive Bombardment: This is a very similar ultimate ability to Bangalore’s. However, Bangalore ultimate ability will bomb the entire line, while Gibraltar's ultimate will focus on one place, and this can lead to an insane amount of damage. On to the premium characters. At the moment, there are only two offered and both of them will cost you either 12,000 Legend Tokens or 750 Apex Coins. Mirage belongs to the Recon class. In my personal opinion, this is the most fun character I have played with so far, and you should definitely give Mirage a go. Encore: Every time Mirage is hit by the enemy, this passive ability will create a decoy which will also hide Mirage for 5 seconds. This ability is a great counter to other Recon classes such as Bloodhound. Psyche Out: This is probably the funnies ability in the game. If you are in for a good laugh, just send out one of your decoys in a random direction and watch your opponents either freak out or spend hundreds of bullets trying to take you down. However, this ability can also help you out if you are stuck in a dangerous situation, or if you want to get a location on someone. Basically, this ability is perfect bait. Vanishing Act: If one decoy is not enough for you, then this ultimate ability will bring a smile to your face. Once activated, Mirage sends out a squad of decoys in random directions. Furthermore, Mirage goes into stealth mode for a brief period of time. As mentioned above, there are two premium characters in the game, and this is the second one. Just like Mirage, this character will cost you either12,000 Legend Tokens or 750 Apex Coins. 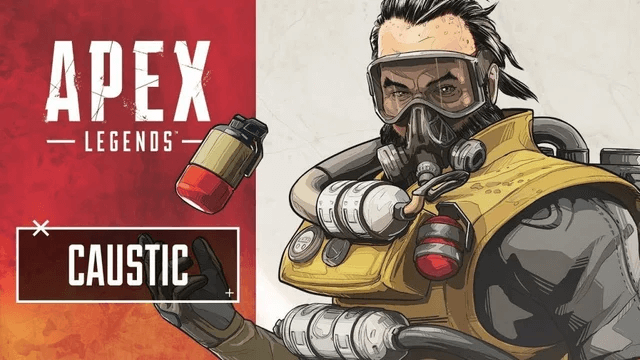 Just like Gibraltar, Caustic is an ultimate tank in Apex Legends. However, this tank is heavily focused on damage. Nox Vision: To be honest, this is not a really useful passive skill. However, it may give you an advantage in some cases. Basically, you can see through gas with Caustic, and that is it. Nox gas Trap: This one is definitely more useful than his passive ability. You can place a trap around the map and you can catch your enemies off guard. However, the only way you can activate this trap is if shoot at it, or if you enemies activate it. Nox gas Grenade: This is just an upgrade to Caustic’s tactical ability. A huge barrage of toxic smoke is thrown on a big area. This ability is best used in the final circle and in most cases it will help you out massively. Given the fact that Apex Legends has already broken some records set by Fortnite, we are definitely expecting a lot from this upcoming Esports title. However, it still has a long way to go, but we are glad to see that this game is very stable in its core gameplay and that Apex Legends has no problems of that sort. So far Apex Legends is sitting on 180,000 average concurrent viewers, while Fortnite through the same period has around 115,000 average concurrent viewers. Furthermore, if we are to compare the highest viewership counts(peak viewership) we would see that Apex Legends is ahead in this department as well. At the moment, Apex Legends is sitting on 491,000 viewers, while Fortnite capped at 326,000. Another important thing about all of these stats is that Fortnite has 600,000 more streaming hours once compared to Apex Legends. 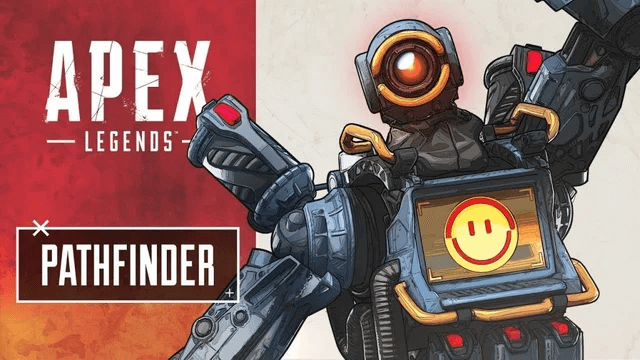 Where to bet on Apex Legends? At the moment, the only Esports event held for this game was Twitch Rivals Apex Legends Challenge, where 48 best streamers competed. However, Esports bookmakers are not offering betting on Apex Legends at the moment, but they definitely will in the future. 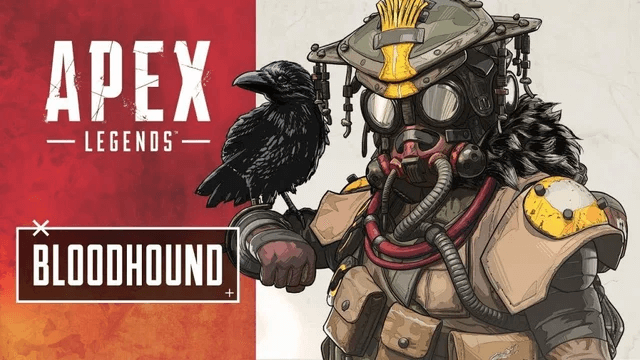 Once we find out which bookmaker will step up and add Apex Legends betting to their website, we will let you know. 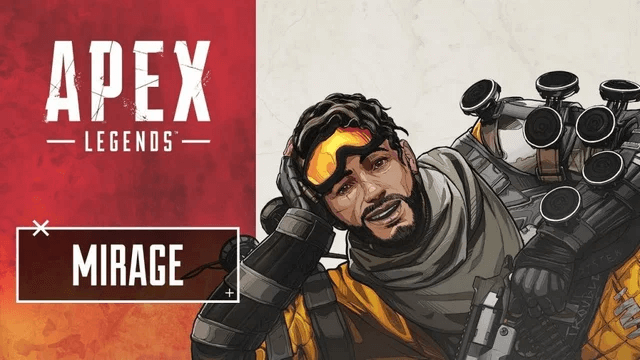 You are probably wondering if Apex Legends is the new big thing? Well, I can say with high confidence that it is. However, it is still nowhere near Fortnite as Fortnite has over 200 million downloads, while Apex Legends is sitting on 25 million. On the other hand, Apex Legends has only been live for 2 weeks, and if we compare the rate it took them to get those 25 million we would have a good guess on why this game could be more popular than Fortnite. This upcoming Esports title provides a different aspect of a battle royale game that is mostly focused on team play and aim duels. Furthermore, this game is strictly based on first-person shooter camera and that is the best thing about it. 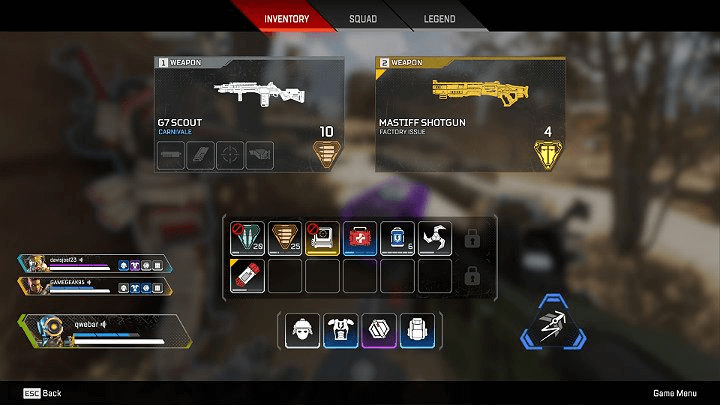 It is greatly optimized and barely anyone will have a problem running Apex Legends. In conclusion, it will be interesting to see how will Apex Legends developers prepare this game for future Esports tournaments and events. Another important thing they will need to resolve is a tournament format. As you probably now, no one was able to find an ideal format for the battle royale games in the Esports scene, and who knows, maybe EA has the perfect solution for this problem.